The release of the THIEF reboot has sparked up conversations again about what makes a good or bad stealth game. Over the last few weeks it’s prompted me to take a look back at games from THIEF’s family tree and contrast how they approach things. Last month I played through Dishonored again — the first time doing so since having beaten the old Thief Gold and Thief II: The Metal Age — and played its DLC. That by itself put Dishonored into perspective in relation to its ancestors and I think gave me a good frame of reference to see where the new THIEF is coming from. The big shift in many of the stealth games we’ve seen recently, or games that use stealth, is that like shooters, they’ve gone for a more linear approach based on waypoints and sometimes small dynamic environments. 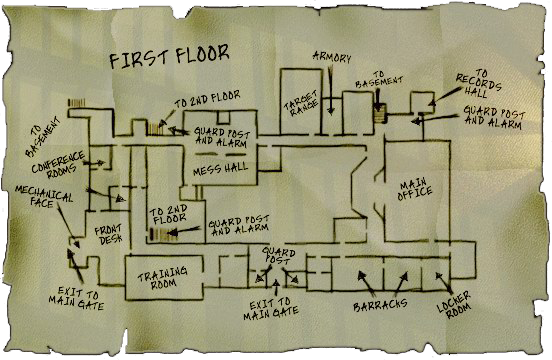 The missions in the old Thief games were built to feel like dynamic, working environments, and you’d be thrown into them with a map and multiple objectives, expected to figure out the plan for yourself. The first Crysis game was more or less like this too. Crysis 2 instead just had you head from waypoint to waypoint, taking you through small sneaking arenas filled with clever alternate paths. The missions in the new THIEF do pretty much the same thing. This works for simply providing a stealth experience, but I feel like it forgets the freedom and emergent gameplay of the older games. Dishonored I feel is somewhere between the two, but closer to the old style. The objective is usually not to simply reach a waypoint, but to do an actual thing which is established as soon as you reach the area. Dishonored’s areas are smaller than those of classic Thief and it’s gated by loading screens, but that basic structure is still there. Some people are down on Dishonored’s validity as a stealth game because of how easily its super powers let players combat enemies. I decided to play through the game without using them, particularly the “blink” teleportation, and it instantly felt very much like a Thief-lite. Blink was basically incorporated for the sake of impatient people. Discarding it instantly forces players to methodically examine enemy patterns and the rest of their environment like a traditional stealth game. If you wanna get real technical, Dishonored’s overall structure is actually much closer to that of the original Deus Ex, which makes sense as both games share a level designer. If you wanna ask between all these which is the best actual stealth game, I guess that’s all on preference due to a bit of irony. Dishonored has more of that dynamic emergent structure, if even only a tiny bit of it, but let’s you tear apart squads of enemies like Deus Ex does. 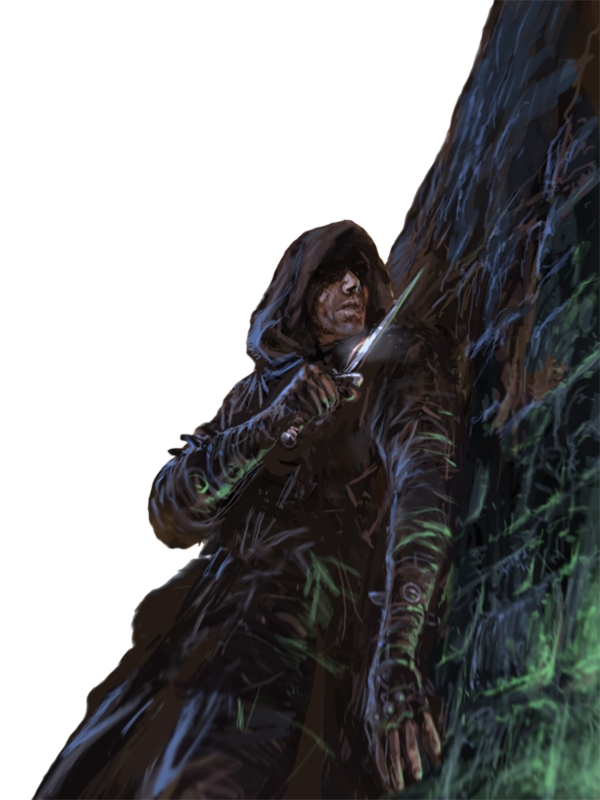 New THIEF would be called dumbed-down by many, but is actually more of a “pure” stealth game where you have to sneak because you can’t fight off five alert enemies. What Happened To Objective-Based Level Design? My “LTTP Thief” post drew some comparisons between that game and stuff like GoldenEye or the original Perfect Dark. Playing it really reminded me of how open-ended a lot of action games used to be, and of how sad I am those kinds of games pretty much aren’t made anymore. What happened to the days when each mission of a shooter would simply drop you into a level, give you a list of objectives, and leave you to complete them at your own pace, with your own methods, and in your own order? Now it’s all corridors, shooting galleries, and set pieces in the guise of objectives. If you go back and play GoldenEye 007 on the N64 today, it’s actually surprising how non-linear the levels in that game feel compared to today’s shooters. The first time I played that game, looking at the mission objectives and reading the briefing — knowing there were many things that could happen in each level but I was there to perform certain specific actions, made me feel like I was being sent to complete real tasks. The same goes for pouring over the map of a level in Thief and deciding what tools I’m going to bring in accordance. The tactical shooter genre used to be all about this: games like the original Rainbow Six and Ghost Recon were about you creating your own plans to complete missions. Each level in all these games was basically a small sandbox. Overall, it just makes the games feel more intelligent. A part I really miss is when games would actually add additional objectives on higher difficulties, making the missions more complex and sometimes changing their entire nature. I guess today designers don’t want to put that kind of content in a game that most players would likely miss. Most of today’s action games do have what they call “objectives,” that are displayed on-screen, but really they’re just a chain of messages that have no meaning other than to guide you down a tight, predetermined path. In games like Call of Duty or Gears of War there’s usually no way to progress unless you keep shooting until the game tells you those objectives are complete, and there’s no way to fail those objectives unless you die. When Nintendo Power advertised GoldenEye, one of the selling points of the game was that there were ways to fail a mission other than dying! These people didn’t really design video game levels — they tried to design areas that functioned like real places, and then gave you goals in them. Games like Thief seem to have been designed in a similar way. I’m not against linear games when they’re well-done. I just don’t like how there are virtually no shooters or other action games on today’s hardware built in that objective-based style. Most of the games that do something close to this on today’s hardware are games like Deus Ex Human Revolution or Fallout or Elder Scrolls. The way quests are completed in those games feels similar in practice, but those games are really descended from the legacy of 3D PC RPGs, so the connection isn’t intentional. In terms of first person shooters, I would say the best modern example is the first Crysis game. I’ve begged so many people who couldn’t run the PC version of Crysis to try out the PSN and Xbox Live versions because of how different that game is from Crysis 2 and Crysis 3. Surveying an entire village with your binoculars from an adjacent hilltop and planning your approach is something basically no other FPS has done in the six years since. You could even say Crysis advanced this style of level design a bit by making the levels a lot bigger. The last couple Far Cry games kinda tried to do this but with much simpler objectives. Dishonored is actually another pretty good example, taking direct inspiration from Thief. Hopefully the new THIEF follows suit. It’s bad enough we don’t get enough stealth games that offer a real sense of player autonomy these days. 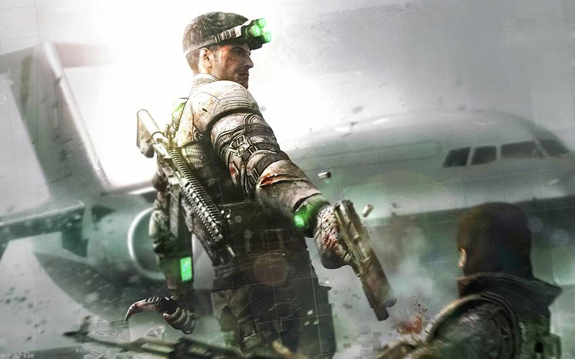 Remember Splinter Cell Chaos Theory? That’s a good example too, and I wish Ubisoft would go back to doing that (disclaimer: I haven’t played Blacklist yet). Luckily, this style of game design seems to be exactly what KillZone Shadow Fall is doing judging from the E3 demo videos. With all the open-world games seemingly appearing on next-gen consoles I really hope objective-based game design returns in a big way to action games. If we’re lucky, Shadow Fall will be a big hit and lead the way for other developers. Really, I just miss games that gave you nothing but a place and some goals.